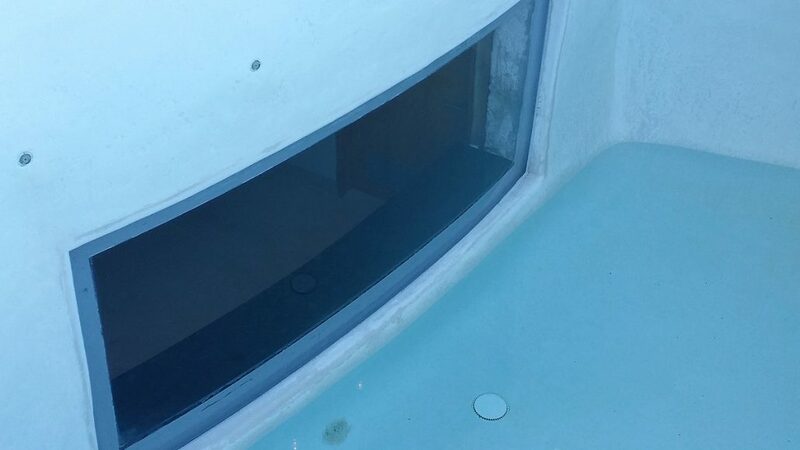 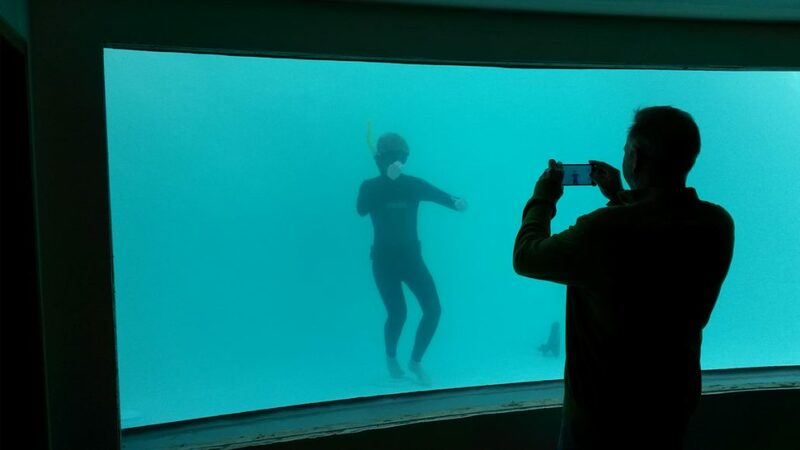 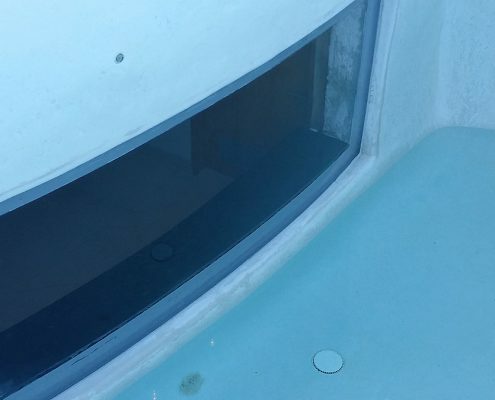 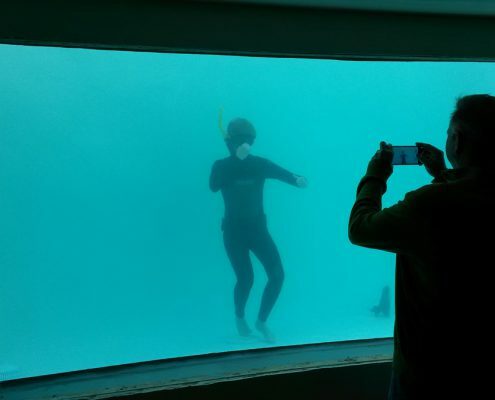 A private residence custom pool had an acrylic window leaking which needed repairing. 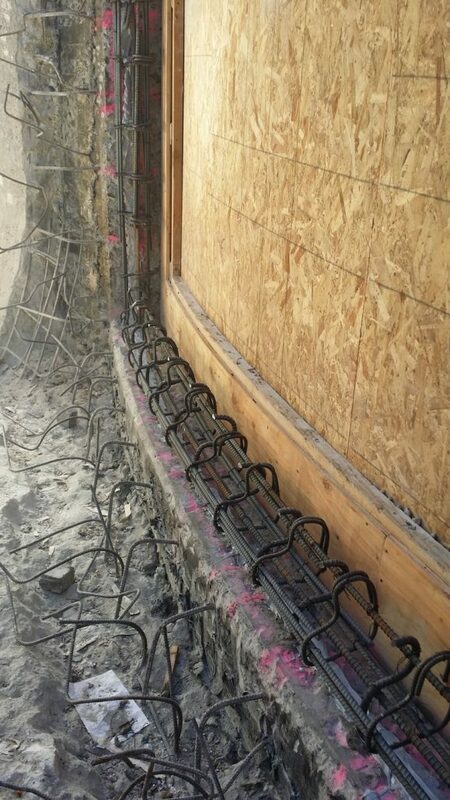 Demo around window perimeter and expose existing rebar. 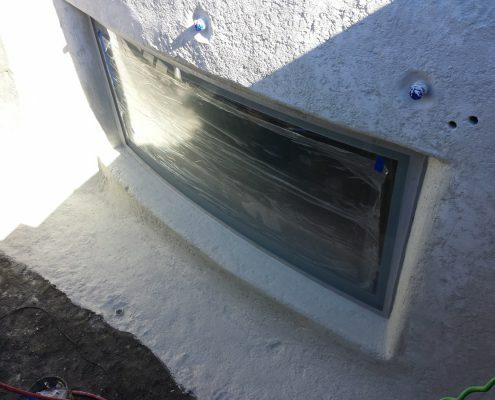 Remove window, polish and reset back in poo. 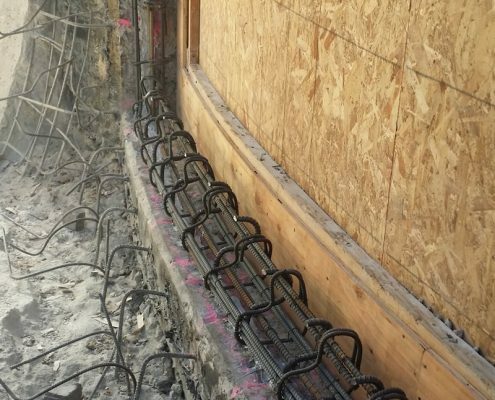 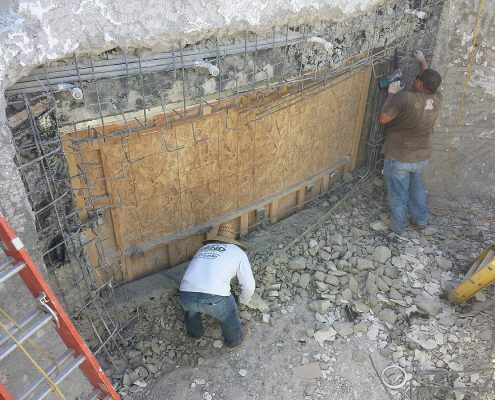 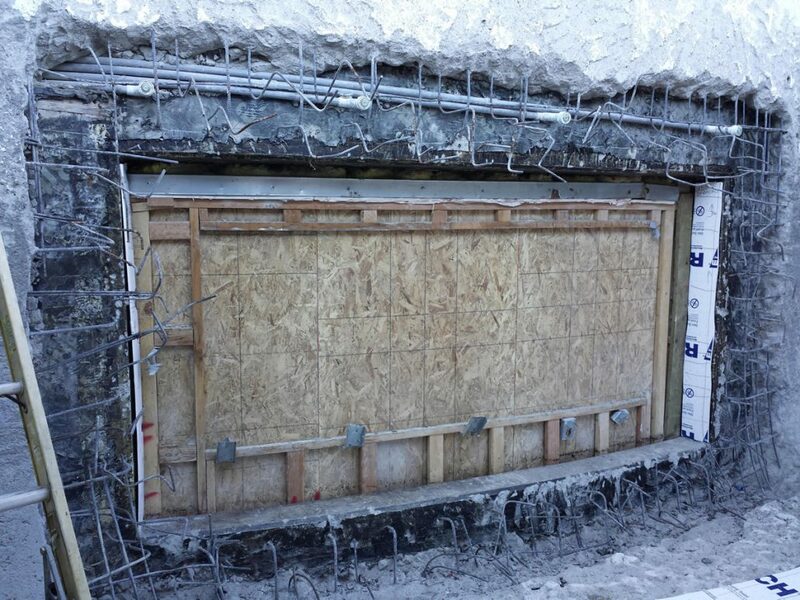 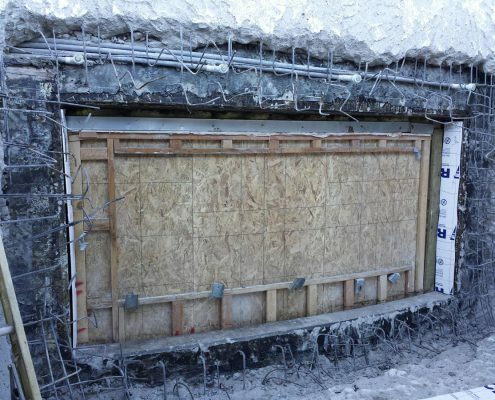 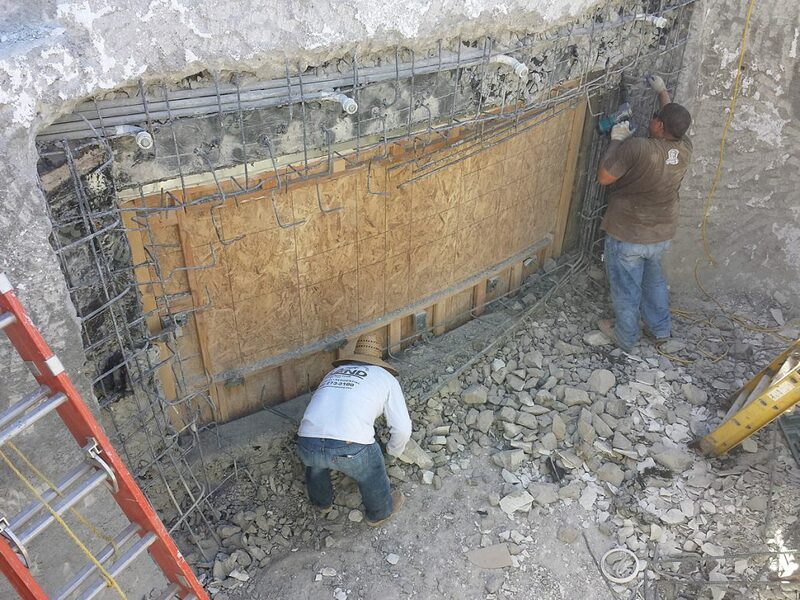 Reinstall engineered steel around window perimeter, waterproof, form and pour back high strength 5000 psi concrete. 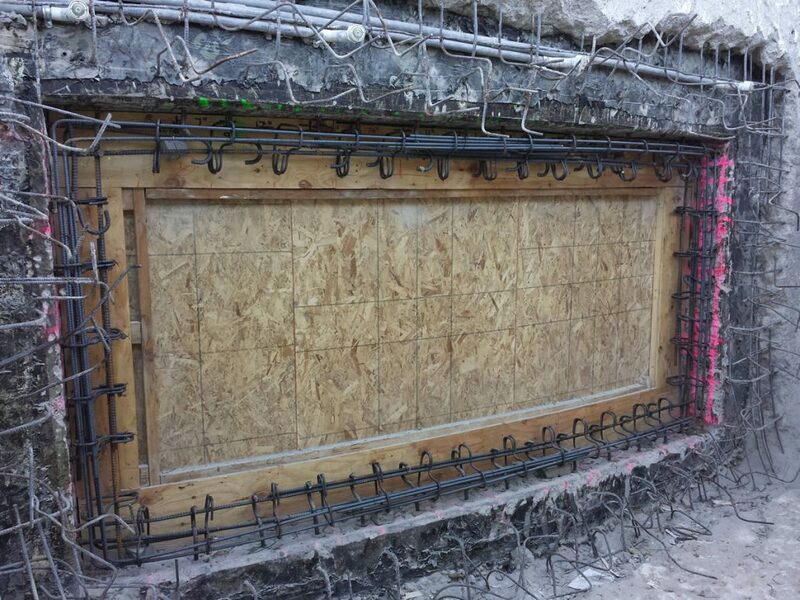 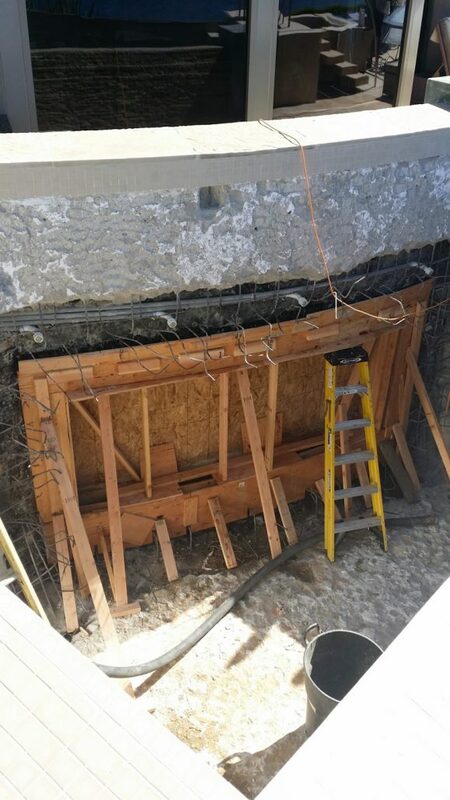 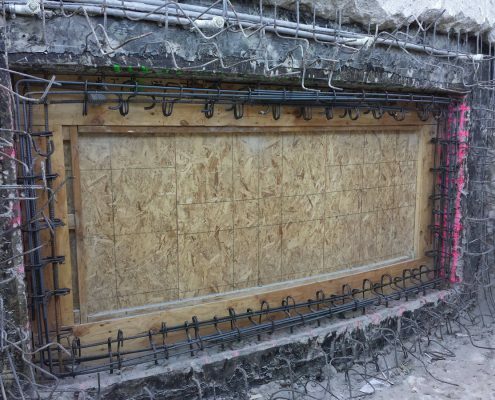 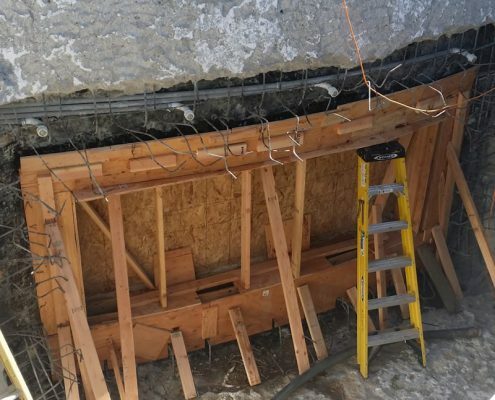 Apply shotcrete to tie into existing pool structure, waterproof entire pool and around window perimeter. 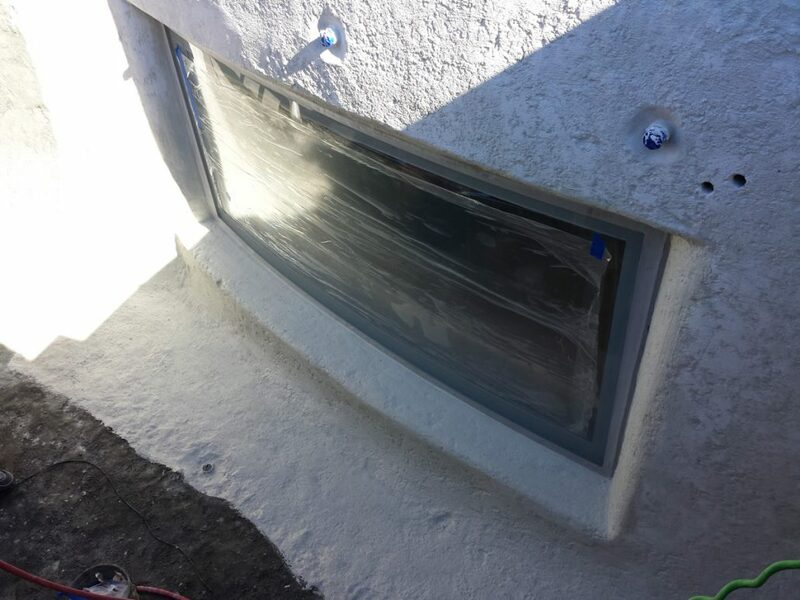 Final steps: apply bond coat prior to plaster, plaster with pebble sheen.